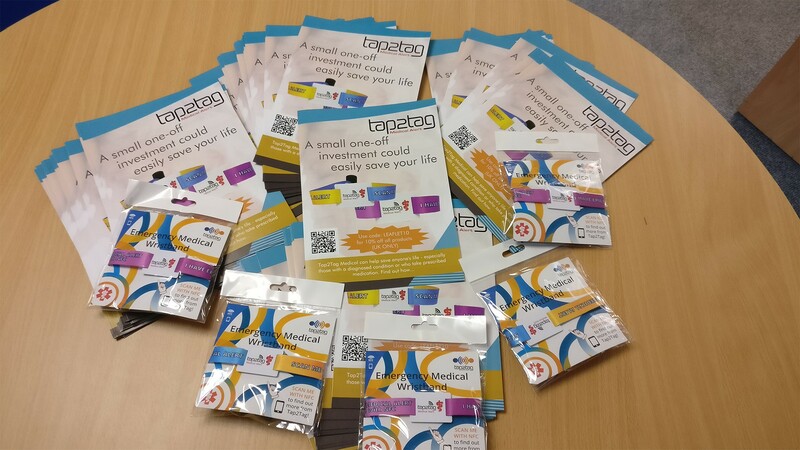 Tap2Tag is aiming to help those charities working in areas where we believe our products are particularly vital. Sign up to our leaflet distribution list! The amount of support from the Tap2Tag community has been overwhelming, users have shared their experience with Tap2Tag via social media, friends/family and group meetings. We want to give an opportunity for those who are passionate to spread the word about Tap2Tag, especially those working within the NHS.